Veterinary Cards for Loss of Pet | it takes two, inc. The loss of a pet hurts. 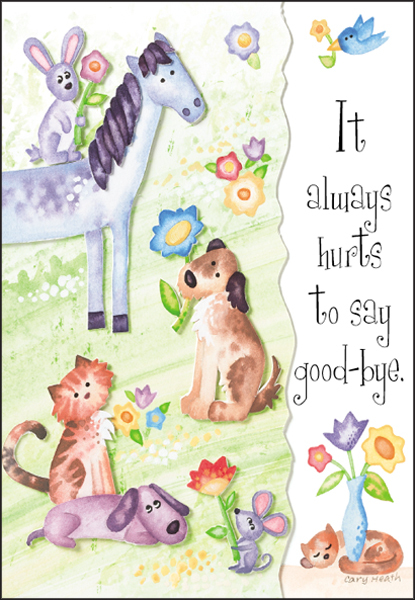 These pet bereavement cards offer a simple message of concern. Comfort your client families in their time of need. 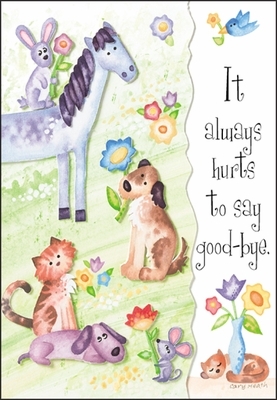 Have a supply of pet sympathy cards on hand. Front: It always hurts to say good-bye. Inside: We are sorry you have lost a special pet.